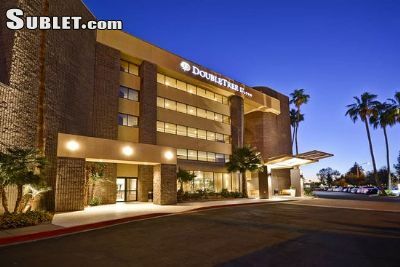 Set in the northwest corridor of Phoenix, our DoubleTree hotel is near malls, restaurants, local breweries, sports venues, museums, hiking areas, theaters and cultural attractions. Walk to Metro center mall, restaurants and cinemas, or take our complimentary shuttle to locations within 5 miles of the hotel. Take advantage of Phoenixs sunny weather with an afternoon at the Desert Botanical Garden, on a golf course, or shopping at the Tanger Outlets. Kids will love a day at Castles n Coasters, the Phoenix Zoo, or Wet N Wild Water Park. Catch a spring training game, or see a Diamondbacks or Suns game – all just 10 miles from our North Phoenix hotel. Our staff is happy to recommend festivals, events and other things to do in Phoenix, AZ during your visit. Traveling North: Take exit 208 toward Peoria Ave - Merge onto Black Canyon Access Rd - Turn left onto W Peoria Ave - Turn left onto N 28th Dr - Take the 1st left onto Metro Parkway E - Take the 1st right onto N 27th Ave - hotel will be on the right. Traveling South: Take exit 208 toward Peoria Ave - Turn right onto W Peoria Ave - Turn left onto N 28th Dr - Take the 1st left onto Metro Parkway East - Take the 1st right onto N 27th Ave - the hotel will be on the right.